A Victorian apartment development has dominated the 2016 National UDIA Awards for Excellence announced in Adelaide late last week. Hamton & ISPT's project Eden, Haven & Sanctuary won a National award in its nominated category 'High Density Housing' and the prestigious President's Award. 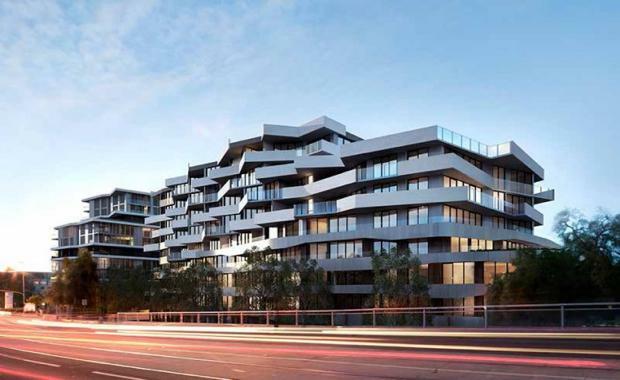 Eden, Haven & Sanctuary is a luxury 567-apartment mixed-use development in Abbotsford in Melbourne. The project integrates with the riverfront through a mixture of entrances that are well articulated, as well as the gradual setback of the facade. The judges of this year's awards were Stephen Holmes, a Director of Holmes Dyer Pty Ltd and Alan Zammit AM, Managing Director of UPDM. In a statement on the UDIA website, the judges commented that this year' s awards had delivered an "outstanding, diverse range of projects".